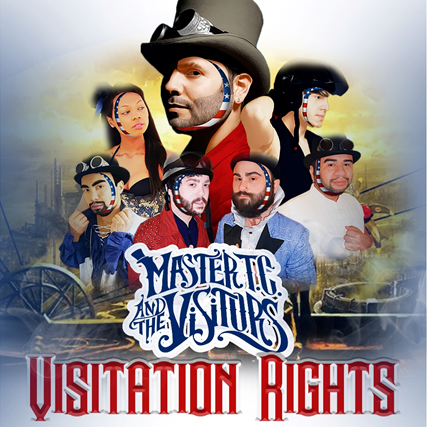 Master T.C & the Visitors, the national American pop/rock band, released their brand new album “Visitation Rights” on Independence Day 2018, blending classic Vaudeville and Victorian Steampunk inspirations. With no doubt it will reach all types of public given the wide variety of genres they juggle with effortlessly. The band from Ohio now based in LA gets its unique touch by mixing pop/rock with glam/metal, electronic, hip-hop, alternative, r&b and synthpop, a challenge very few can meet to definitely bring great joy to the fans. Keep up-to-date with Master T.C & the Visitors by following them on Facebook and Instagram.